Just about every visitor to South Africa wants to see and experience what Cape Town has to offer, as it is said to be one of the most beautiful cities in the world! This safari does it all! - Starting in Cape Town, with a tour to the winelands, followed by a safari in the Greater Kruger Park area. The accommodation in the safari areas is unique - A combination of a luxury tented camp as well as one of the best luxury lodges one can imagine! 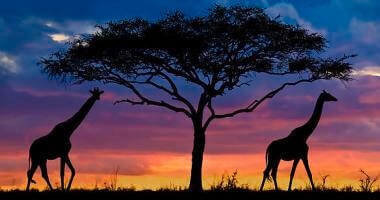 This safari will leave you with everlasting pleasant memories, and truly a great choice for honeymooners! On arrival at Cape Town International airport you are met by our representative and transferred to your hotel. Overnight at The Victoria and Alfred Hotel in a standard double room on bed and breakfast basis. The Victoria & Alfred Hotel is set in the heart of the V & A Waterfront in Cape Town and enjoys spectacular views onto the working harbour and Table Mountain. With a colonial and elegant ambience, the hotel is named after the Queen of England and her son, who visited the Cape in 1870. There are 94 en-suite bedrooms spread over three floors, each with views onto either the Alfred Basin or the Piazza. The rooms vary in size with some offering a dining or lounge area. All rooms feature king size beds, air-conditioning, tea and coffee facilities, private bar, pay-for-view TV and Wi-Fi. With a hint of past shipwrecks, the main hotel includes a lounge, dining and terrace area. There is a Spa and gym, a small pool set across the way in a manicured garden and a full concierge service. The V & A Waterfront is a hub of retail outlets, designer stores, excellent restaurants and craft markets and also includes tourist highlights like the Two Oceans Aquarium, Robben Island Ferries, ocean adventures, helicopter flips, the Iziko Maritime Museum and much more. Explore the city of Cape Town, known affectionately as the Mother City. Your tour will take in the Houses of Parliament, the Castle (built between 1666 and 1679, this is South Africa’s oldest building), the lively Greenmarket Square with its daily market, the Company Gardens and of course Table Mountain, which will give you spectacular views over the city and the Peninsula (the cable car fee is included but weather dependent and is usually closed for annual maintenance from the last week of July to Mid August). As you come back down from the mountain, make a stop at Bo-Kaap, home to the Cape Malay community, with its cobbled streets and brightly coloured houses. From here you have the choice of being dropped off at the Waterfront to experience this vibrant location at your own pace, with its many shops, restaurants and pubs - or at your hotel to end the tour. The Table Mountain Aerial Cableway opened its doors to its first visitors on 4 October 1929. Since then, it has had many upgrades, bringing it to the point where it can safely welcome an average of 800 000 visitors each year. The round cable cars take about 5 – 10 minutes to carry 65 passengers from Tafelberg Road to the top of Table Mountain and they gently rotate, offering 360 degree views on the way. Please note: The cableway is usually closed for annual maintenance from the last week of July to Mid August. Today you embark on a full day tour of the Cape Peninsula. Take in the beaches of Clifton and Camps Bay, before crossing over to Hout Bay, where you may choose to join an optional boat cruise to Seal Island. From here you drive to the Cape of Good Hope Nature Reserve via Chapman's Peak, one of the world's most breathtaking coastal drives, where you will board a funicular (optional and for your own account) to get to the top of the Peninsula to witness the symbolic meeting of the Indian and Atlantic Oceans and enjoy spectacular views over False Bay. After lunch (included), continue to Simonstown, the naval base, and visit the African Penguin breeding colony at Boulders Beach. Then stop at the world-renowned Kirstenbosch Gardens before arriving at your hotel for overnight. This delightful drive winds its way to the heart of the Cape Winelands, through superb mountain ranges, vineyards and Cape Dutch homesteads. Head off to the wine country via the N2 to the heart of South Africa's wine industry, Stellenbosch, boasting great beauty and culture that is steeped in South African history. Walk down the canal-lined avenues, in the shade of giant oak trees and beautifully preserved historic buildings. With the sheer vastness of wine estates on offer, we are truly spoilt for choice when we enjoy our first wine tasting of the day at the Waterford Estate or similar. Travel over the Helshoogte Pass to the town of Franschhoek, historically dating back to the 17th century when the French Huguenots arrived. Billed as the Gourmet Capital of South Africa, this charming town, in a most picturesque valley, retains a French Huguenot style. We enjoy a wine tasting before taking time to enjoy the fabled culinary skills of the Franschoek chefs at one of the many award winning restaurants (lunch included). Onward to Paarl, one of the Cape’s first farming districts. The town is set at the foot of the cluster of remarkable granite domes from which it takes its name. Our last stop for the day is at a wine estate on the Paarl wine route. We return to the bustle of city life after an enthralling day in the countryside, arriving back at the hotels at approximately 17:30 Note: Alternative estates may be visited over weekends and public holidays. Day 5 - Transfer to Cape Town airport for your flight to Kruger Mpumalanga International Airport (Flight costs excluded in quoted costs). Private transfer to Lukimbi Safari Lodge. Lukimbi Safari Lodge is a five star luxury lodge situated in a 15,000 hectare private concession in the southern Kruger National Park. Set along the banks of the Lwakahle River, the walkways and decks are raised making the most of the views over the river bed to the bush beyond. Lukimbi has 14 classic and two premier suites. With soft earthy tones, high thatch ceilings, a lounge area and glass windows guests have a sense of space as the room seems to stretch out to the bush beyond. Bathrooms are en-suite looking directly onto the bush and have spacious baths, inside/outside showers and separate toilets. The premier suites feature a separate bedroom en-suite, dining area, lounge and private plunge pools. Guest areas at the lodge include raised wooden decks for dining or relaxing, a bar and boma, swimming pool, library, curio shop and gym. Children over two years welcome. Lukimbi offers a full kids program, morning and evening game drives and bush walks. There is a select Spa menu and golf can be arranged at the prestigious Leopard Creek, 45 minutes away. 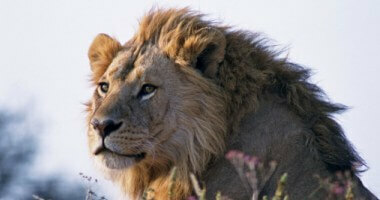 The southern Kruger is easily accessible and the Lukimbi concession is not fenced so the Big 5 roam freely. Idube is a four star safari lodge located in 10,500 hectares of bushveld in the western sector of the Sabi Sand Private Reserve in the Greater Kruger National Park. Surrounded by African bushveld the lodge is set in an indigenous garden of tall trees and green lawns, with daily visitors including the warthog and nyala. Idube has eight comfortable chalets and two Makubela Suites. The chalets are en-suite with inside/outside shower, air conditioning plus overhead fan, mosquito nets, large furnished private deck and tea and coffee facilities. The spacious Suites are slightly separate along a raised walkway with all the chalets features plus a mini bar, private plunge pool, entrance hall and lounge. They can be inter-leading, and children over eight are welcome. Meals are served under thatch on decks or by firelight in the boma. There is an entertainment area, open lounge and swimming pool. Activities are informative with morning and late afternoon game drives in open land rovers, and safari walks in the surrounds after breakfast. 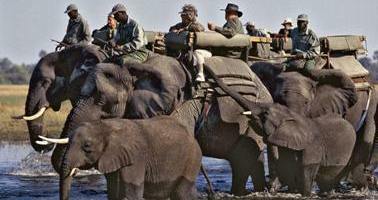 Includes: All meals, teas and coffees, 2 game drives daily in open landrovers, and a safari walk. Day 11 - Private Transfer - Southern Sabi Sands to Kruger Mpumalanga Airport. (MQP). Connect with your onward flight back to Johannesburg. Flight costs excluded from quoted costs. OPTIONAL EXTENSION TO LIVINGSTONE / VIC FALLS!! 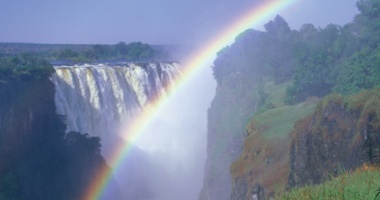 Instead of heading back to Johannesburg, continue with an onward flight to Livingstone, Zambia. (Flight costs excluded from quoted safari costs). Private Transfer - Livingstone Airport to David Livingstone Lodge. Accommodation for 2 nights in a Standard Room. Meal basis: Bed & Breakfast. Situated just upstream from the magnificent Victoria Falls in Zambia, on the banks of the Zambezi River, is the stylish David Livingstone Safari Lodge & Spa. A large property, surrounded by manicured lawns and gardens, guests staying here enjoy a privileged riverfront location and outstanding views. With a colonial air matching the area’s history, the impressive thatch buildings consist of 72 rooms (3 inter-leading) and 5 suites, most of which have private balconies and prospects of the river. Extensive grounds and a pool deck on the water’s edge offer beautiful spaces to unwind, while the spa provides rejuvenation and the ultimate in relaxation. Nearby optional activities include white-water rafting, Victoria Falls visits, river cruises and a host of other scenic and adventure options. Includes: Breakfast and a shuttle into town and the Falls daily on the hour between 08.30 and 17.30. Please note: ZAWA Park levy of USD10.00 per person per stay payable on and Mosi-oa-Tunya National Park fee of USD10.00 per person per DAY are all EXCLUDED and payable locally in cash. Subject to change without prior warning. Tour of the Falls: Scheduled 90 Mins Tour. This tour takes you on a discovery of how the Victoria Falls were formed and what local customs and traditions surround them. One special vantage point is across the Knife edge bridge, where you can have the finest view of the Eastern Cataract and the Main Falls as well as the Boiling Pot where the river turns and heads down the Batoka Gorge. Other vantage points include the Falls Bridge and the Lookout Tree which commands a panoramic view across the Main Falls. Different times of the year will provide completely different experiences of the Falls region. The newly built lady Livingstone famously known as “The Jewel of the Zambezi” has a capacity of 144 pax. Guests are met at their respective hotels/lodges and transferred to the David Livingstone safari Lodge and Spa. The cruise takes place along the river boundary of the Mosi-oa-Tunya National Park, total cruise time is approximately 2 hours. During the cruise, clients are likely to see hippos, crocodile and some good birdlife. Possible other game sightings are elephant, giraffe, buffalo and buck. An experienced guide accompanies each cruise and has good knowledge on the wildlife and local history of the area. Excellent hot and cold snacks are served on board and the bar is well stocked with spirits, good wines, beers and soft drinks. Snacks and drinks are included in the price and served throughout the cruise. Pick up times are 16h00 in summer (August to April) and 15h30 in winter (May to July). Includes: Snacks and local brand drinks. Please note: River usage fee of USD10.00 per adult and USD5.00 per child payable locally. Subject to change without prior warning. Private Transfer - David Livingstone Lodge to Livingstone Airport. Connect with your onward flight back to Johannesburg, arriving in time to connect with your onward flight home. Rates for the Vic Falls Extension: From $625 per person sharing, depending on Season.